Wrapping our identity up in another PERSON’s opinion of us, instead of God’s. The culture (both Christian and secular) teach us that happiness and joy resides in other people’s responses to us, when in fact, other people’s responses are things that really belong to other people. Becoming defensive yourself. This is a response to #1 and #2, but understand that research shows defending yourself exacerbates the problem and escalates argument. It is absolutely the WRONG response and does not work. The bible tells us defensiveness can become such a habit that you undermine the positive effect your wife or husband can have with your kids, if you have them. It’s also not a biblical response, and is sin, rooted in pride. Harboring resentment and communicating with CONTEMPT. From yesterday’s post, you see the marital math and how RESPECT is the solution to this problem. How to get to that place will be something I talk about in upcoming posts. Contempt’s presence in a relationship is the highest predictor of dissolution, according to research. The thing you need to understand is that contempt is an end result for many because of #’s 1-4 above. And join us in the journey by doing The Respect Dare with us. We start Dare 6 next week, doing just one at a time, dialoguing with you as you journey. And if you are parenting little people, you should totally follow Leah and Debbie if you have tweens, teens, or twenty-somethings. Like us on Facebook so you can know when Daughters of Sarah becomes available in video format this year, or schedule one of our weekend retreats. 2014 is nearly full, but 2015 might be an option. 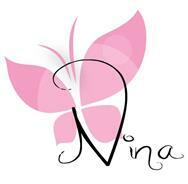 I’m also active on Twitter as @NinaRoesner. Come join the discussions! I’m so sorry to hear this. Am praying for wisdom for you. I also highly recommend this as a last chance: http://www.gottman.com/marriage-couples/private-couples-retreats/, especially if he’s going to file. It is hard if he won’t step up and take responsibility for his own actions. I recommend you spend some time in prayer and ask God to reveal the things in you that might need a change. You will be surprised by what you hear! I know I was.. and though I did not want to believe I had a problem, or that the things my husband needed to change were much more important, God doesn’t see it like that. We each are on our own path. Verses like why judge the speck in your brother’s eye when you have a plank in yours..
God told me that my husband would never change unless and until I did. I have been working hard.. begrudgingly at first, now witha heart full of praise as I have seen the results coming in.. slow as they may be, I see them and it fills my heart with joy and hope restored! Just work on you. Pray that God helps you be all that he created you to be, and that you can live up to the expectations in Ephesians 5. I have changed over the years, I was very co dependent, I have (and am) learning to set boundries. He used to call me up when I was out & tell me to come home, when he worked I would call in for him due to hang over etc. he got very reactive when our kids were middle school cause they had minds of their own & he liked to tell them what to do. I wouldn’t speak up when I was hurt but sucked it in. I have learned to confront him. Not every little thing, but I pick my battles. It would take way too long at once to tell you our history, so in a nutshell he’s immature, selfish, has anger issues, is critical & opinionated. He became very unsocial, home all day watching tv & internet, lazy, he got hurt at work in 2001 & when he got better, he didn’t go back to work, but let me support him all these years,he takes his moodiness out on me, but I don’t take it any more. His good points are, he would give you shirt off his back, generous, good handy man & mechanic. , he doesn’t go out & spend money. He’s very loving when he’s in the mood, he’s good to our grown children, but still opinionated they don’t like to visit much cause of him. I have (and am always learning) to be happy without depending on him, we’re ok except when anything personal comes up to talk about. If I stick to the weather & small talk, we get along. I try to build him up, I do pray for him but wish I can live without him & not get so stressed out in his bad mood. You sound so similar to my story.. My husband too was injured and never returned to regular work (yet). I say yet because we are still young.. I am 36 and he is 40, but we have been together for 15 years. In our short time, we have been through it all.. drugs, abuse of all kinds, infidelity, kids, marriage, injuries, deaths, births, LIFE! I too deal with an angry alcoholic at times. Though right now I am in a reprieve since he got a DUI this summer and is in Diversion classes. My kids both adult and ones still at home struggle with dealing with him at times, but he too is a loving caring father who would do just about anything for anyone. He is a loving caring man, but when crossed, watch out! I think that is just part of who MEN are.. I can talk to mine about personal stuff, but he NEVER wants to talk about or hear about what is upsetting about him to me.. Instead I choose to model what I would like to receive and pray that he notices and reciprocates. ANd like I said.. its been about a year and I am seeing some steps in the direction I like! I have suffered and fasted and prayed on my knees for hours, days, weeks and months. I learned to pray the right way, and be humble and know that we each have our own journey. I may feel like GOd needs to move more or faster on my husband, but that is not my call.. I pray for continued growth for me, and that my husband finds a relationship with the Lord. Until that relationship is found, not much will happen. Mine likes to deny God, but I know what is in my husband’s heart.. I think all wives can see their beloved in a way no one else on earth can. We are more able to see them as God does if we ask Him to reveal this to us. I’m praying for you my dear. I am sure there is much I can learn from you so please keep posting. We are all here for you. Which brings me to another question…My husband was very upset that I would not obey a direct order from him. Am I being stubborn for not obeying him? Especially if I’m not comfortable with it or does that not matter if I’m not comfortable with things because wives are to respect and submit to the husband? And the “break” is BRILLIANT and super-important – researched as a great way to deal with these things. Regarding your question, it depends on what he wanted – I have no idea, only you can know that. If you aren’t comfortable with it because it is sin, that’s his issues, not yours, but ask God what you should do. Even Sarah chose to follow Abraham into sin respectfully, but Abigail did not, so it’s between you and God if it is a sin issue. If it is not, and the two of you can’t agree, he’s responsible for the outcome, so his vote trumps yours – but be sure you’ve gently explained what your concern is after talking with the Lord about it. When ever I see one of your posts, it so reminds me of myself! My husband too does not like when I criticise others.. strangers even.. He says it is a negative attitude and is unattractive to him! Well God knows that I want my spouse to find me attractive so I have been trying to only say positive comments, no matter who I am around so that this will become my new habit. I am withdrawing right now and shutting down emotionally. My husband reacted to an issue the other evening in a way that was very hurtful to me. He has not apologized, nor does he usually ever. I am the one that has to start the conversation, and I am just not there yet. I have done the Respect Dare once, and I read your blog all the time. I know I will come around, but today I am tired of always having to be the one to get us back on the right path. I get this. And I love how transparent you are! Sometimes I wish the men in my life were more like me – taking initiative on the repair attempts. Praying for you, lovely! I’ve also come a long way out of a deep pit! yeah! Nina, I love the way you speak truth into my life. Any good you see is all Him, baby! 🙂 SO glad you are on the journey with us! I love seeing your posts and realizing how far I have come! I know I still have a long road, but at least now my eyes are open to what I was doing.. Thank you for the Respect Dare and being here online for all of us..